Fans are the perfect home accessory because they help control comfort as well as light. As a factory authorized Hunter Fan, Casablanca Ceiling Fan, Chandel-Air and other decorative fans distributor we have the right ceiling fan for you. Choose from floor and pedestal fans to table fans along with indoor and outdoor ceiling fans. A variety of ceiling fan styles are available including traditional to contemporary as well as ceiling fans with lights and remote controls. Authorized Hunter Fan distributor offering the entire line of Hunter Ceiling Fans including Hunter Fan Parts and accessories. Hunter Fan offers ceiling fans in three types of mounting methods, flush, standard and angled with various lengths being enabled by downrods. 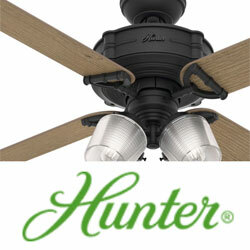 Hunter Fans can be installed with or without a light kit. All Hunter Fan Blades are interchangeable and some Hunter Fans come with remote control, while others are operated with a wall switch. Choose from indoor and outdoor ceiling fans in a variety of styles from modern to tropical and traditional along with kids ceiling fans featuring the iconic airplane ceiling fan. 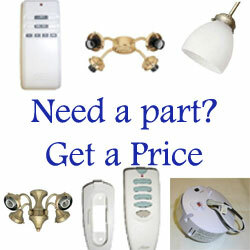 All Hunter Ceiling Fans parts and accessories are discount priced at manufacturers lowest allowable level. 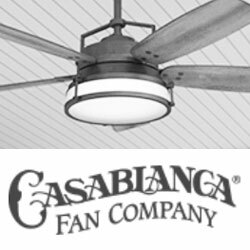 Casablanca Fans complete selection of elegant ceiling fans parts and accessories including light kits, remote controls and downrods from your authorized Casablanca Ceiling Fan dealer. Quiet high quality motors, easy to hang system along with mix and match fan blades, remote controls as well as great light kit options are what help make Casablanca Ceiling Fans the world's finest ceiling fan. Casablaca Fans reputation for reliability and quality construction along with its meticulous attention to detail will make these ceiling fans a tasteful addition to your homes decor. The Chandel-air ceiling fans with lights offer a variety of great looking chandeliers with fans in styles that range from modern to traditional and rustic. Designed by Meyda Tiffany the Chandel-air ceiling fans feature chandelier styled lights with a hidden ceiling fan and blades. 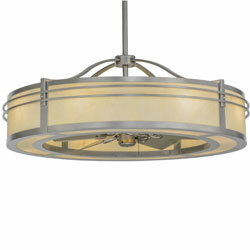 These hidden blade ceiling fans are a great way to have great lighting along with a hidden ceiling fan. Decorative floor and table fans. 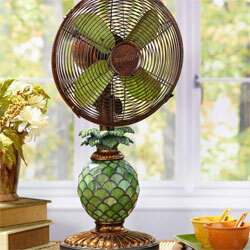 Circulate the air and create a cooling effect with these decorative fans. Figurine Fans. Authorized Hunter and Casablanca parts and accessories supplier. We can find the parts you need. 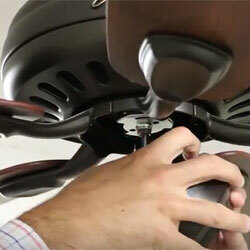 How to install a Hunter Ceiling Fan. How to install a ceiling fan remote and receiver.